Look at the fantastic artwork these star students created after reading Mirror by Jeannie Baker! The students also sent in some excellent book reviews, which we’re pleased to share here. This book is one of a kind, it is set out with two stories in a mirror image. Once you see inside you just can’t take your eyes off the book. Jeannie Baker compares two different families in her story, one is from Australia and one is from Africa. The two boys in the story may not look alike, but they are deep inside. They both like to belong to a family. This book is better than your average book, everyone should read this great collaged picture book. The story links the two families with a special carpet that is made by the mother in Morocco, it turns out that the Australian family buys the exact carpet for their home. Mirror is about two boys from very different countries; Sydney Australia and Morocco in Africa. They live a totally different life, they eat different foods and their homes are very different. One day the father of the Australian family buys a carpet from the “Magic Carpet” shop, the mother of the Morroccan boy had handmade this colourful carpet. The book has no words and it opens in two directions, with each boy’s life on each side. Jeannie Baker has collaged the pictures in her book with manmade and natural materials. The book is suitable for 7 years plus. I liked it because of its bright colours. The message in this story is even though people may look different and live different lives, you may still have the same needs and wants on the inside. This book is about two boy’s lives. It shows the two boys and how they are similar and different at the same time. One boy lives in Australia and one lives in Morocco in North Africa. The book is called Mirror because the boys do the same things, but in different ways. There are two stories in this book. Jeannie Baker collaged fabric and other materials to make the pictures and then took a photograph of each collaged scene to make it look realistic. She used only pictures to tell her story. A mat that is made by the boy’s mother in Morocco ends up being bought by the Australian boy’s family. Jeannie was inspired to make this book after she travelled to Morooco on a holiday. The moral of her story is that people may look different on the outside but can still be very alike on the inside. I think this book is suitable for 8 years plus. I really enjoyed this book, it was great. Mirror is a book about two families in two different countries. There are two sides to the book telling what the families do at the same time. They both did different things. One family lives in Australia and one lives in Morocco. They dress differently and eat different things. I liked the book, because it has pictures and no words. Jeannie Baker was inspired by going to Morocco and meeting a very friendly stranger. One day the Moroccan family’s mother made a carpet and the Australian family bought it. Jeannie Baker collaged the pictures and then took photos of them to tell her story. Mirror is a book about two boys and two families who live in Sydney and Morocco. These two families look very different and they do things very differently. One day the family from Sydney buys a rug from a carpet shop that the other family’s mother had made. Jeannie Baker has collaged all the pictures in the book, she has made them look real by using real materials. The moral of this story is that even though you may look different, you can still have the same values on the inside. I loved this book, because it was in pictures and you could feel that the book was very special. It is suitable for ages 8 plus. Mirror is about two boys in two different families and in two different countries. The first family lives in Sydney, Australia and the other family lives in Morocco in North Africa. One day the dad of the Australian family went to a carpet place and bought a rug that the Moroccan family had made. Even though the two boys in the story look different and speak a different language, they are still the same on the inside. This book is suitable for ages 5 to 13. Mirror is about two families from different countries and how they live very differently, but they have some things that connect them to each other. The two countries are Australia and Morocco. It was amazing how Jeannie Baker made the book. She used different materials to collage the pictures. The story is about two boys in Morocco and Australia. There is a carpet in the story, the family in Morocco made this carpet and the carpet was then sent to Australia, the Australian family bought it. Jeannie Baker was inspired to make this book by visiting Morocco and meeting nice people there. Mirror is a book that reflects two different parts of the world. An Australian and North African family both have a boy, they look very different to each other. The Moroccan mother makes a rug and sends it to Australia to sell, the Australian boy’s family buy it. Even though the two boys look different, they are the same on the inside. The book has two sides, you can read both sides at the same time. The moral of the story is that even though someone may look different they can still be the same on the inside and like to belong to a family. Jeannie Baker went to Morocco on a holiday, the trip gave her the ideas to write the book. I really enjoyed the book, it was excellent. 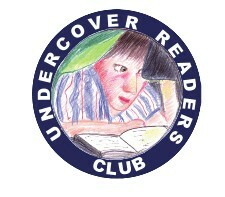 * Winthrop Primary School is a member of our Undercover Readers Club. A review copy of Mirror was provided by the publisher. 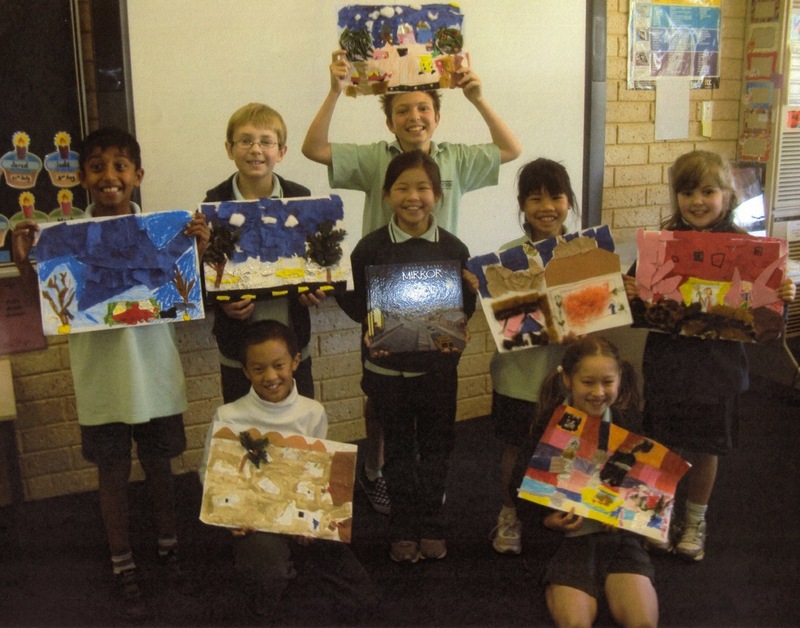 Reviewed by students at Winthrop Primary School, WA. Teacher: Mrs Therese Cianfrini. Our Favourite Poems: Lazy Little Lizard, Piglet in Puddles, Wriggle and Giggle, Penguins, and The Hopping Song. We loved the cover of the book, it was colourful and inviting, the illustrations made us want to open the cover and discover the exciting poems inside. Each poem in the book was cleverly created with rhyme and rhythm that made the poetry fast and cheerful, with a good beat to encourage children to get involved with saying the poems. The author really used her imagination to create some hilarious and entertaining poetry that will encourage young children to learn as they sing along with these poems. They will learn to walk, count numbers and say new words. Our little brothers and sisters would love this book of poems, they are silly and full of nonsense that would really make them laugh. The bright colourful illustrations would also involve them in the book. 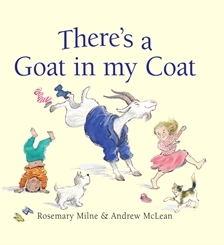 Rosemary Milne has created some awesome poems that will make small children want to hear and say them over and over again. The book keeps the reader interested, as you never know what the next page will have on it. This exciting and entertaining book will even have the adults enjoying the time they spend reading to their young children. The book has a nice ending and would be a great bedtime reading book. We recommend that you get this fun book for your children, we know they will love it. 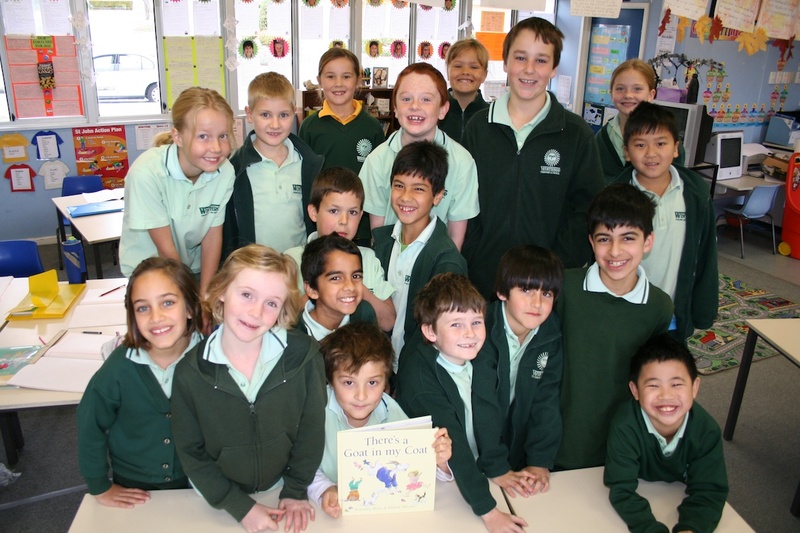 Winthrop Primary students review ‘There’s a Goat in My Coat’. Photo used with permission. These Winthrop Primary students are members of our Undercover Readers Club, a book reviewers club for kids. (The book was provided by publisher, Allen & Unwin.) If you or your class would like to join the club, you can download an information pack (PDF) from the magazine’s website. Membership is free!